Did you realize that over 80 percent of enterprise workloads will be cloud-based by the year 2020? There is no denying just how popular cloud-based services and software have become in the past few years. 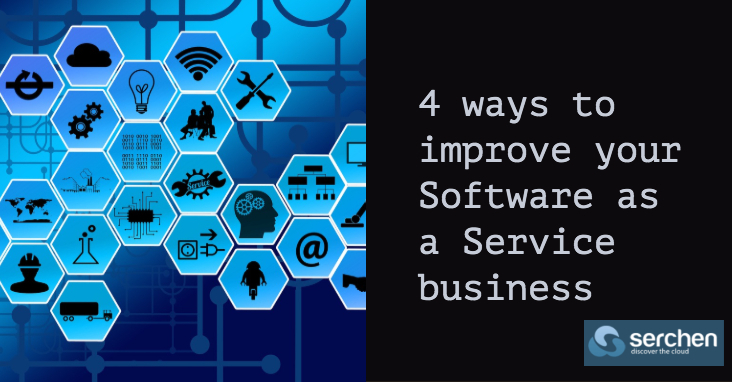 If you are in the business of creating software as a service (SaaS), then finding a way to constantly improve and enhance your services is a must. The SaaS world is filled with competition, which is why constantly optimizing the programs you offer is essential when attempting to create a competitive edge. If you start to notice your churn rate growing with each passing day, you need to take action. In essence, a SaaS churn rate describes how fast new customers are leaving and switching to a competitor. Higher churn rates are a warning sign that there is something wrong with either the software your company is offering or the subscription model you currently have in place. Implementing the use of state-of-the-art SaaS user management software can help you pinpoint and fix problems your customers are experiencing. Here are some of the things you may want to try when attempting to improve your SaaS business. Previous Previous post: SaaS vs. PaaS vs. IaaS: What’s the Difference? Next Next post: What is Cloud Storage Software?